Don't ask me why I'm writing this article. Because I'll tell you why: Ludwig doesn't own a Nintendo Switch and can't investigate this “Splatoon 2” on his own. And so as someone who does, the burden was placed on me. I have no interest in Splatoons. I have no desire to engage with Splatoons. The character models irk me and Splatooners have a showy sense of self-righteousness of what it means to be a “‘90s kid.” And I may like squids, but that doesn't mean I want to squirm around in the presence of these unctuous squid...kids. That said, I've participated in both Splatoon testfires. My memory of the first Splatoon Global Testfire has since been distorted by a series of unfortunate brain diseases (blame Sierra Leone), and my memory of the second has been distorted by the fact that most of my fascination with Splatoon 2 involved not actually playing the game. Namely, basking my nihilist squid in the sun was infinitely more rewarding than interacting with squid kids and their trifling reindeer games. Every idiot who goes about with “Booyah!” on their lips should be boiled with his own ink. To my peril, I did wind up actually playing in my Testfire hour of 3–3:59 PM on Saturday the 25th. Shot with some “Splat Dualies” that weren't...well, good at anything actually, and tried out the new Press X to Map map where I found myself having to tilt my controller into another player's icon to warp as if I was playing a round of Kirby Tilt 'n' Tumble. Worked surprisingly well given my expectations, though, and in the end I preferred shifting my focus to a different menu than an entirely different device. This means the ink totals aren't constantly in your peripheral vision which is great for team morale. Compared to Splatoon 1, the game's aesthetics are not good. The levels are flat (both vertically and in flavor) and the music lacks punch. I got “Now or Never!” from Splatoon 1 stuck in my head before writing this article while I couldn't even remember what Splatoon 2's “Now or Never!” sounded like despite it being the same song. It represents a trend of Splatoon 2's personality being trashier and grimier than the last, possibly on purpose to symbolize the dark state of today's world. I did my best to liven up the game world with exciting non-consensual flopping (no permission from my teammates who may have been too young to give consent anyway), so that's my contribution, and I guess I'll see you again in another two years. If you want Rawk to continue giving Nintendo Switch analysis that only someone who owns the console will be able to provide, please comment your appreciation in the comments section so he can be inspired to keep up the solid work, instead of Ludwig having to drag the muscular avian out of his super-secret training facility. Your comments will also help out in terms of your score in the KoopaTV Loyalty Rewards Program! If you wanted another Rawk article, you didn't have to wait two years. 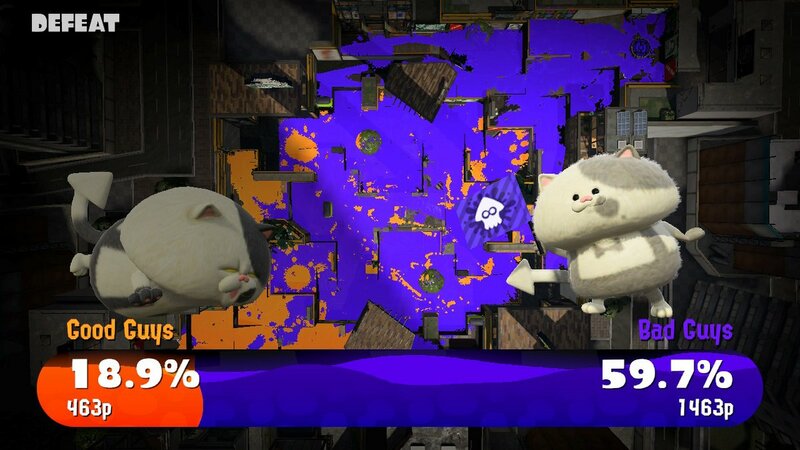 The Splatfest demo is effectively another Testfire. Ludwig played it and enjoyed his experience, unlike the author here. Thank you for your article, Rawk! Everyone, give him a round of applause! ...Though, of course, if other people reading this HAVE played the Splatoon 2 Global Testfire and disagree with Mr. Hawk, that's good-to-know. I now have the Nintendo Switch but I missed the Testfire. If they have another one I may post a review of it. If I was able to play the test-fire, I would imagine that it would have been extremely laggy just like it was on the Wii U. Anyway, I'm still looking forward to some more adventures in Inkopolis. 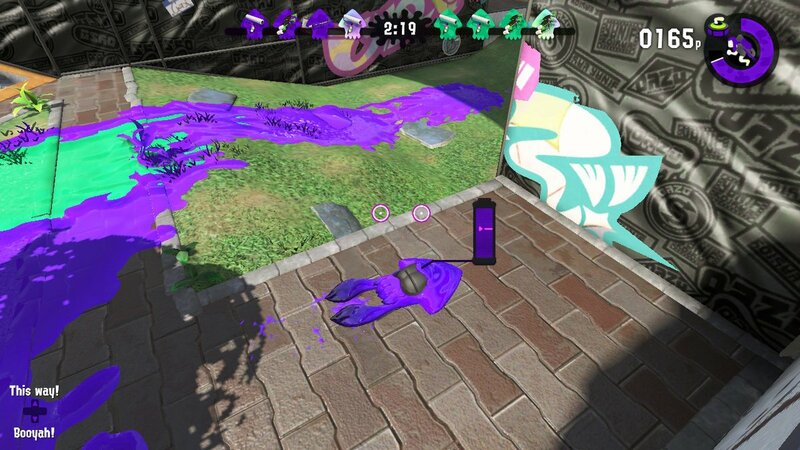 There is nothing more satisfying than blasting ink into your opponents' faces. The fact that Rawk did not comment on lag probably means that it was fine, right?